Saturday. What a glorious day, and such a contrast to last year’s wet and windy weather. 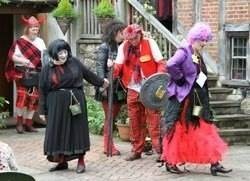 Saturday was the day the Court had chosen to complete its traditional ale, fish and flesh tasting, butter and bread weighing, brook-looking and the beating of the manorial bounds. 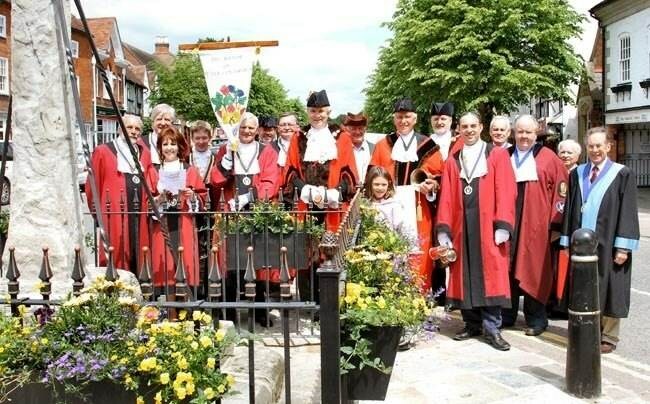 The High Bailiff and the Court Leet, with guests which included the Bailiffs of Warwick and Alcester, started the day at 10.00 am from Henley Market Cross. The Town Crier, Gordon Trinder, being on holiday in sunny Scarborough, it fell to the Low Bailiff, John Rutherford, to ring and read the High Bailiff’s proclamation. The procession then set off up the High Street in the direction of Sue Dalby Catering to taste the butter and bread on offer by S.D.C. In front of their shop Sue had prepared a table of wares demonstrating the ‘art of butter making’; butter of real quality was tasted by Butter/Bread Weigher Fred Dowling. 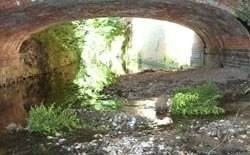 Next the procession returned to Beaudesert Lane to check the flow of the River Alne at the bridge. Earlier, Brook-Lookers Graham Smith and Dawn Leech had entered the waters to walk the Alne as far as the Medical Centre Crossing so they could report their findings to the High Bailiff. At the same time the Hayward, Jonathan Dovey, was sent on his way up the Mount to survey the manorial bounds to the north, east, south and west and to report his findings to the High Bailiff. 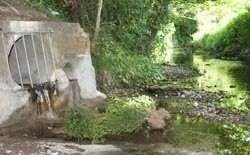 On reaching the Medical Centre Bridge the High Bailiff received the Brook-Lookers’ report on the river – clear and free flowing. The report delivered, the final task of the Brook-Lookers was to release an armada of yellow plastic ducks into the river for the start of the Court Leet Charity Duck Race! 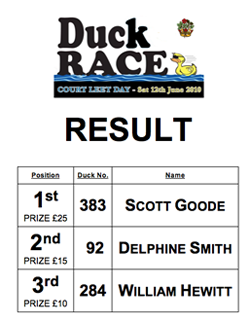 It turned out to be a most amusing race: because of the slow speed of the current the ducks at the back of the armada had to be helped along by the occasional flick of the brook-looker’s rake – more a rake race than a duck race! The results are shown above. The official tasks completed, lunch was taken in the Guild Hall Gardens. 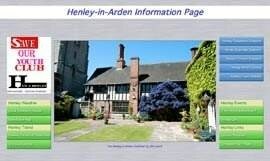 It was here in the gardens that the public could picnic on purchases of tea, coffee, cakes and soft drinks from the refreshment tent run by the ladies of Henley WI. In the gardens the public could also visit the Riverside Garden Project where members of the fund raising committee were on hand to explain the new garden’s development. After lunch Henley Amateur Dramatic Society entertained the public by performing an extract from Shakespeare’s ‘Macbeth’, first performed by them as part of this year’s Shakespeare Birthday Celebrations. 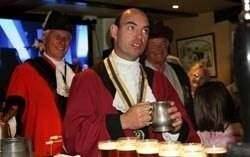 This was followed by the second performance of the Silhill Morris Men! 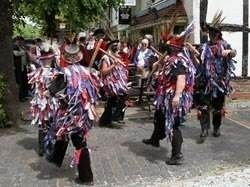 The public were treated to three dances: two of West Country origin and a dance of their own composition. Finally the High Bailiff thanked his guests from the other Courts, and all who took part in the day’s proceedings, for their support in helping the Court perform its ancient re-enactments of ale, fish and flesh tasting, butter and bread weighing, brook-looking and the beating of the bounds. 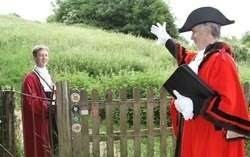 History is alive in Henley! 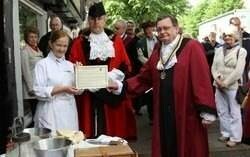 Click on the "Slideshow of Court Leet Day" below to see 72 photos of the day's events. 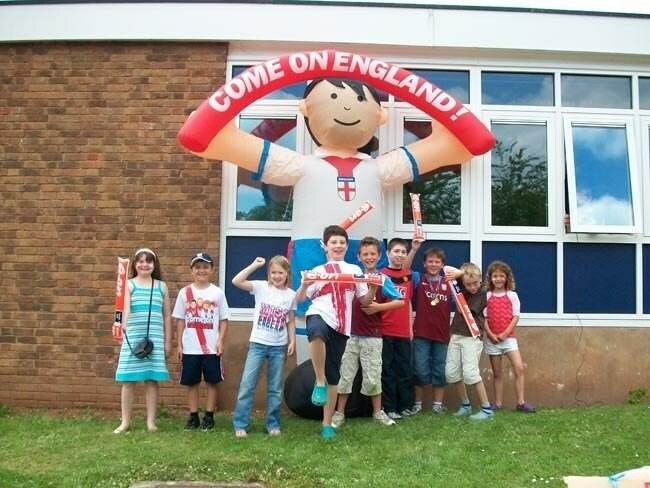 That was the score at Henley-in-Arden Church of England Primary School on Saturday when they held their annual Summer Fayre. This year’s event had a football theme in keeping with the World Cup. Children had the opportunity to take part in football skills sessions with qualified FA coach, Adrian Field, culminating in a mock-up game between England and USA. 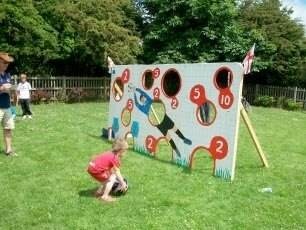 They could also play ‘Beat the Goalie’, a game made by one of the PTA Dads, Dave Cowling, with the opportunity to win football themed prizes at the remaining stalls. 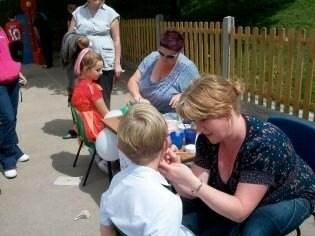 England flags and red roses were the order of the day at the face painting stall, kindly ran by two teaching assistants from the school, Tracey Hedderman and Julie Bradford. The school was also visited by a special guest, loaned to us by recently elected councillor Jem Jones, who is obviously an advocate of community spirit – a big thank you goes to him. The PTA would also like to thank Henley Ice Cream for providing refreshments, the White Swan and The Nags Head for providing ice and Sarah at The Lemontree Florist for providing the flowers for the top of the maypole. A special thanks to Bob Sedgewick for providing and manning the barbecue throughout the day. The day was a huge success and this would not have been possible without the help and support of the small but highly organised PTA and parental contributions of cakes and items for hampers. Create a Garden – Buy a Brick! 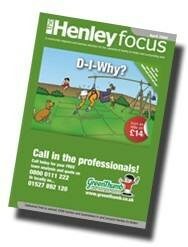 Anyone receiving a copy of this month’s Henley Focus should also have received a copy of the leaflet inviting contributions for the completion of the Riverland Garden. 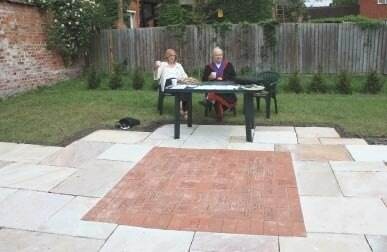 The first panel of engraved pavers has now been laid in the Garden and the picture shows Marijana Bainbridge and Douglas Bridgewater in position on Court Leet Day to answer any questions visitors had. The many visitors who visited the Garden all left with a very positive impression of the pavers and of the progress which is being made in the Garden itself. 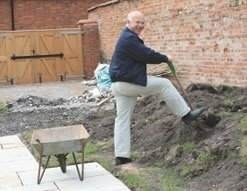 It is planned that the infrastructure of the garden will be completed in the next three months, and work can then commence on planting the flower and shrub beds. A prerequisite of this is that we raise more funds by selling more bricks. Over one hundred engraved pavers have now been ordered, some 70 of which are already in place. It is hoped that the next panels, together with more of the Indian sandstone paving, will be laid next month. The majority of orders are of course from people now living in Henley, but orders have also come from Tamworth, Blackpool, Somerset, Essex and even from Florida. A by-product of the productive work undertaken to date is the availability of some good quality alluvial top soil. While supplies are available, you can take away all you can transport, free of charge. Please contact Alan Robson on 792041 to arrange a mutually convenient time for collection. John Ganjavi has been helping himself and so could you! Now would be a good time to place your own order for an engraved brick. So don’t delay, act today – and make a difference! If you need a copy of the order form please contact me or Sue Bridgewater on 793633, or any other member of the Garden Committee (Marijana Bainbridge, Marion Brealey, John Latham, Kate Smith and Sue Westmacott). 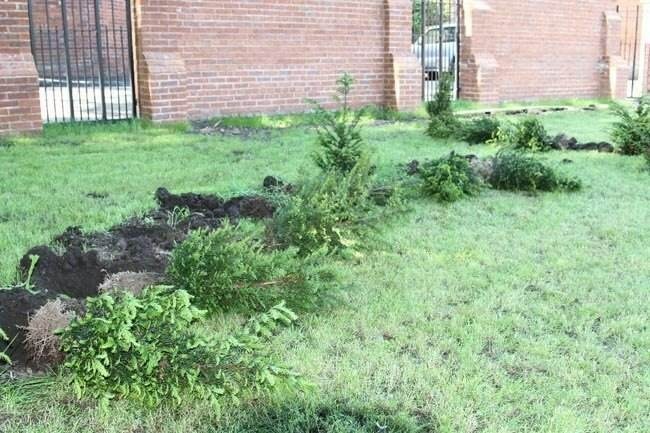 Last night, vandals viited the new riverside garden. They climbed over the iron gate near the bridge, ripped up a dozen of the yew trees and threw some down into the river. Former High Bailiff Alan Robson recovered and replanted all but one of the trees. If you have any information, please call Warwickshire Police. 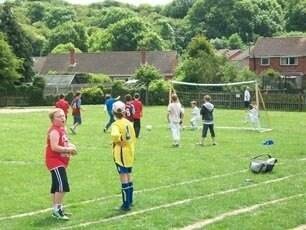 Big turn out - Lovely weather - Cream teas - Bottle stall (very popular!) 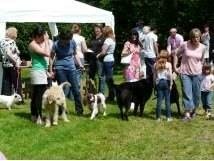 - Tombola - Splat the rat - Welly wanging - Coconut shy - Bouncy castle - Face painting. The show also catered for more modern activities with Wii ten pin bowling. Brendan Fossey with his prize for winning one of the Wii ten pin bowling categories. Children fishing for plastic ducks………every one a winner! 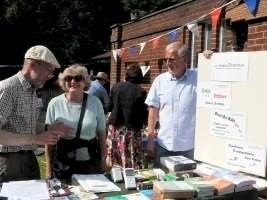 A wine stall from a Wellesbourne vineyard, ice cream from Henley Ice Cream, tile decoration, cake stall, book stall, raffle and people could even have a chat about saving energy as their children played. Get involved – State of the District Debate! Stratford-on-Avon District Council and Local Strategic Partners are hosting a public event, ‘The State of the District Debate’ on Friday 2 July at the Town Hall in Stratford-upon-Avon. Just as National Government is involving the public in crucial decision making the District Council and partners wants to engage with local residents about the big issues that affect them and the whole District. At this event the new District Council Leader, Cllr Stephen Gray and the Local Strategic Partnership Chairman, Charles Goody will start the ball rolling in a debate about the current District-wide issues and priorities for District communities before engaging in wider discussions. Previous ‘debates’ have been held in the Council Chamber, this year the new District Council Leader is keen to take this debate outside and involve as wide a group of residents as possible. Discussions will also be happening at a more local level at local Community Forums which will feed into this district-wide debate. The State of the District Debate starts at 10am on Friday 2 July and will be held at the Town Hall, Sheep Street, Stratford-upon-Avon. 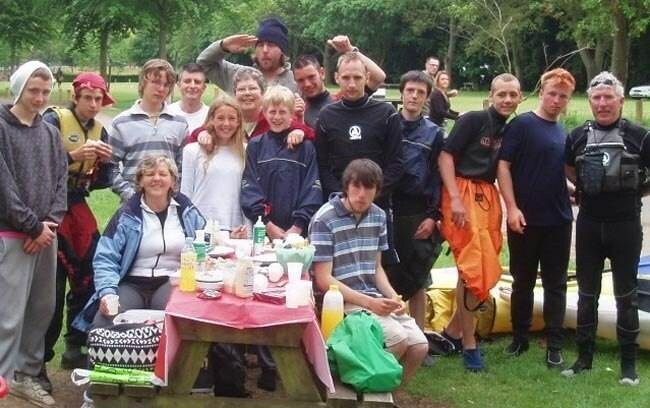 During the May Bank holiday (28th May -1st June) Warwickshire Clubs for Young People (WCYP) took part in the National Association of Clubs for Young People’s most gruelling challenge of the year: the 100 Mile Canoe Test. The event was made possible with funding from the Rugby Area Community Fund Medium Grant Scheme. The Test took place over four days and challenged young people from affiliated clubs to paddle 100 miles over the duration of the event. Young people from The Bradby Club in Rugby, Coventry Boys’ Club, the Rugby V. Project and Riverhouse School in Henley-in-Arden all took part. The setting was the beautiful River Severn, starting from Welshpool and finishing 100 miles later at Worcester Race Course. The Canoe Test is a national event and this year attracted young people from all over the country with over 200 paddlers taking part. The Warwickshire team was made up of young people ranging from 14 to 16 years who all took the challenge in their stride and had a very enjoyable and unforgettable experience. For more information on WCYP and the activities they offer, please contact the County Office on tel: 01926 425191, visit the website at: www.wcyp.org.uk or e-mail: contact@wcyp.org.uk. 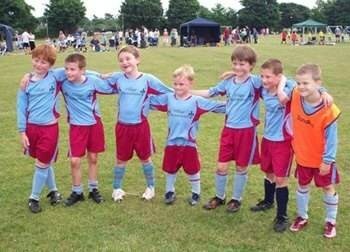 Henley Lions U8s took part in their first 7 aside tournament., The team pictured has only been together six weeks, so what a surprise, that serves us right for thinking the boys would find Saturday really hard & lose every game; they easily proved us wrong. Pictured from left to right are Chris Johnson, Ethan Paine, Elliott Morris, Jo Geldard, Tom Clarke, Jacob Paine & Nathan Maine. Played six, wining four, drawing one and losing to the best team in the tournament (Stratford Town) only by a single goal. It was a great team effort with everyone playing their part, even coming from behind in one game to win. Goals from Jo Geldard, Tom Clarke, Nathan Maine & Chris Johnson plus great defensive work from Elliott Morris, Ethan & Jacob Paine and, given we only had the bare 7 players and six games to play in the heat, it was a brilliant effort. Thanks to everyone who came along to support and a special thanks Tom “Mourinho” Wale for all his hard work on the day as manager. ALCESTER & Ragley went down by three wickets in this Division 1 game at Henley. They were asked to bat on what looked to be a tricky wicket but raced to 31 in six overs before Weaver was out to a good catch at slip by Styler. Three overs later Lee followed after another good catch by Styler. Lewis Dark and Simon Sloan lifted the score to 110 for 3 when Sloan was out to another good catch, this time on the long on boundary, for 34. Dark reached his half century before he was bowled for a good 51. Only Sam Westwood offered any real resistance and when he was out for 34 the innings subsided from a very promising position to 192 all out in the final over. Pick of the Henley bowlers was Ray Perry who finished with 4 for 52. In reply, Henley openers Styler and Ross punished any loose bowling and took the score to 60 in the 14th over without any real alarms. Julian Reader then bowled Styler for 20 as he misjudged the line of the ball. Marc Woolley then took a wicket in each of his next two overs to reduce Henley to 63 for 3 from 19 overs. 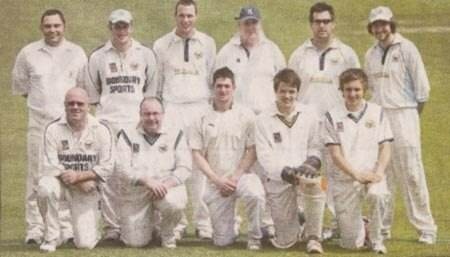 Ross and Breaker rebuilt the innings before Steve Capron bowled Ross for a chanceless 48.
Henley required 84 to win from the final 15 overs with 6 wickets left. Breaker kept the scoreboard ticking but was dropped twice to difficult chances. Useful contributions from Budden (14) and Perry (10) inched Henley towards the winning total. Henley captain Chris Key hit two sixes and two fours to remove any doubt out of the final result as his side eased home with two overs to spare. Key finished on 25 not out and "man of the match" Breaker a match-winning 46 not out. Woolley ended up the most economical bowler as he claimed 2 for 22, Adam Warbrick and Capron also chipped in with two wickets apiece. Due to what I believe is called the World Cup there is a lot of football on television at the moment. It is good to see the wave of patriotism with all the flags of St George draped over some of Henley’s pubs and a number of houses although at first I thought this might be in support of BP in its spat with Obama. I do like to be topical in these articles so I can’t really avoid mentioning football this week even though I have no interest in it whatsoever. I do apologise to those who detest it as much as I do and who were hoping to find at least one place (this column) where they could forget about it for a few minutes. There is, as you might imagine, a potential problem for businesses here. What do you do if employees take unauthorised time off (or pretend to be sick) to watch the football? In the unlikely event (I am advised) that the England team gets anywhere near the final this problem will be exacerbated. It should be a simple problem to deal with – the same way you would deal with any unauthorised absence: either deduct the appropriate amount of pay or, if the employee claims to have been sick, make them complete a self-certification form. Even if you know they were pretending to be sick at the very time England were playing there’s not much you can do if they insist they were indeed sick; not unless they keep doing it anyway. So how can you minimise the effect of this on your business? Plan for it I’d say. Note in advance when the key matches are and, if they conflict with working time, offer employees who want to the opportunity to take time off and make it up when there’s no match on. Sounds simple, might work. But make sure you are equally fair to those who don't want to watch. If England does get to the final and then loses I suspect there’ll be a lot of genuine sickness about. With gold fetching a high price it was inevitable that criminal gangs would use emails advertising 'very reasonably' priced gold to scam consumers. Consumers are warned to beware of emails with titles such as: 'WE HAVE 500KGS OF GOLD FOR SALE (Gold Dust of 23+ Carats)'. These emails often offer gold at extremely low prices 'direct' from the gold fields of West Africa. However, as with all these scams, the consumer has to pay up front for reports, mining equipment, travel to the gold fields etc. Some emails are even offering potential purchasers a partnership or 'stake' in the gold mine! As with all these types of emails, Warwickshire Trading Standards advice to consumers is not to respond to them and to delete them. Confused about which energy saving action is best?? A good indicator of the usefulness of something that saves energy is its payback time. In other words, how long it takes for the savings (from spending less on energy) to cover the cost of what you spend initially. After the payback time all the savings add to your bank balance every year. The table below gives some interesting numbers from Act on Energy for an average sized home heated by gas. See below for other fuels. Summer is a good time to get insulated because most people tend to think about having it done as winter approaches. Consequently, the insulation companies are not so busy and can offer especially attractive prices, eg £80 for cavity wall insulation for a small house. Also, insulation keeps you cooler in summer as well as warmer in winter so it’s a good time to get it done before the hottest days arrive. Contact your energy supplier for a quote or call Act on Energy at Wellesbourne on 0800 988 2881 for impartial advice on insulation suppliers or any aspect of energy saving. A new Council Magazine ‘Stratford View’ is about to be delivered through Stratford-on-Avon District residents’ letterboxes next week. 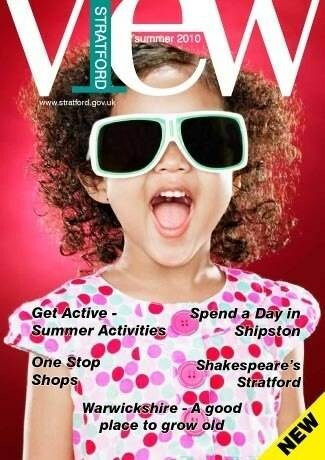 Stratford View is a new magazine produced jointly by Stratford-on-Avon District Council and Warwickshire County Council on a pilot basis. Both Councils were keen to produce a publication that is delivered to all residents’ doors to improve communication with and between District communities. The content will be very much geared around presenting important messages and information about services directly to residents. This underlines the Councils' commitment to improving engagement with residents and addressing public survey results that indicate that residents want to be better informed by their Council. The cost of this publication is being financed through advertising income and working smarter by channelling the Councils’ external publicity activity (and its associated funding) into the new Council Publication. This means that there has been no new budget cost to either Council. Councillor Stephen Gray, Stratford District Council Leader, says: “I am very pleased that we have been able to launch Stratford View and I am sure that residents will value this improved communication with the Council. We are responding to residents who are telling us that they want to be better informed. 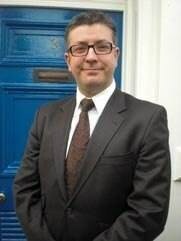 At the Joint Parish Council meeting on Monday 7th June Peter Crathorne, the petitioner of the Henley Parish Referendum on the "Leadership and Management" of the JPC, addressed the councillors in the public session. He asked the parish councillors, who had lost the vote of confidence, to reflect on the result and acknowledge the discontent. He requested the councillors to listen to the views of those who disagree with some of their decisions and take account of the opposition to some of their policies. 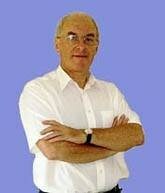 During Mr Crathorne's address one of the councillors could be heard saying "It's business as usual". Cllr Horrocks told the meeting that the Referendum Question was confusing to some of the supporters of the JPC who had possibly voted the wrong way. 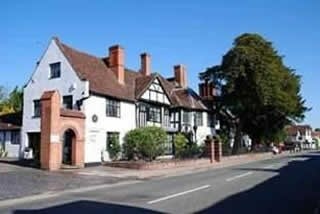 Following the meeting it has emerged that the JPC has entered 2 categories in the Warwickshire Best Village Competition. It has entered the Market Cross project in the Community Projects category and the Youtube video in the communication category. The Youtube video was prepared by a professional organisation using grant money. 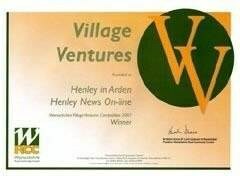 As reported in our last edition 3 co-ordinated entries, shown above, had been prepared by the Heritage Centre, Henmen and Henley NEWS Online. The parish council were advised of these entries but chose to go ahead without any consultation and submit their own competing entries. This lack of co-operation will be discussed at the next Parish Council meeting at the request of Cllr Sue Osborne. 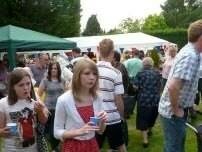 This year the fete will be held from 11.00am – 3.00pm and we are hoping it will be even better than last year! 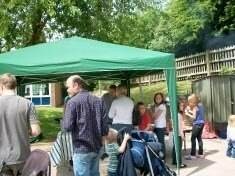 As well as the usual delicious refreshments served throughout the day we will be cooking BBQ sausages and burgers again. 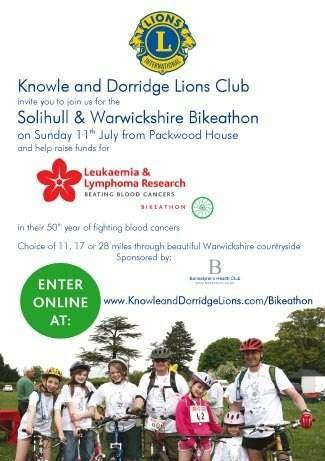 There will be a fantastic range of attractions plus plenty of items for sale in the extra time available – do please let us know if you have got any suitable raffle or tombola prizes. In addition the famous duck race tickets will be on sale outside St John’s on preceding Saturday mornings – do please support us. More details from Daphne Jones 01926 843515 or Barbara Colclough 793710. TANWORTH SINGERS PRESENT RUDDIGORE July 16th & 17th 2010. Tickets for this year’s G&S concerts in Tanworth Village Hall will be on sale in the “Bell” on Tuesday June 29th 10.30am – 12 noon. Tickets cost £9.00 which includes a programme. 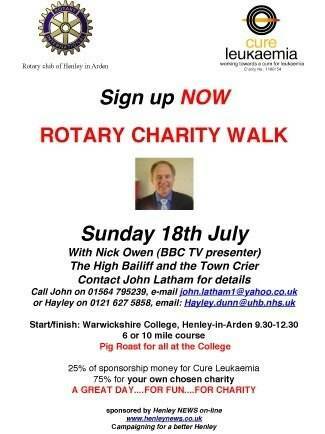 As usual there will be a wine bar and raffle, donations will be made to local charities. 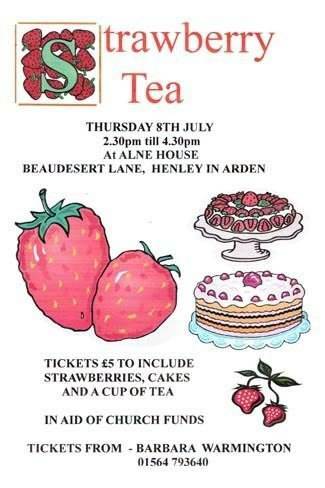 For ticket availability after 29th June please telephone Judith Allen 01527 550499.
HENLEY IN ARDEN BRIDGE CLUB meets every Tuesday at 7.15pm in the White Swan and welcomes new members and visitors. For further details contact Christine Whitehouse 792993. Officers and Ancestors required! Tenors and basses are invited to join the first rehearsal for this year’s G & S on Tuesday May 25th in Tanworth village hall at 7.45pm. Full choir meets June 1st and rehearsals continue weekly. The final rehearsal is on July 13th. A MUST FOR EVERYONE! 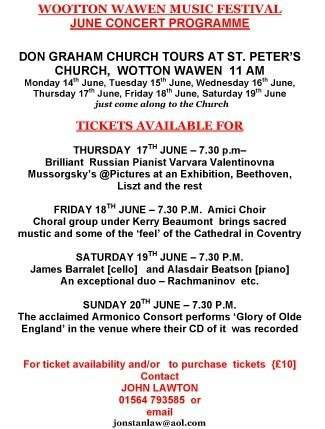 Details of tickets in June. Any questions ring Wendy Dillon on 742464. 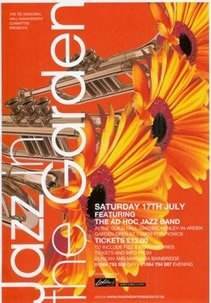 JAZZ in the GARDEN will be on 17th July. More details from Duncan or Marijana Bainbridge on 795149.
Henley NEWS Online has an editorial review team which now has more than ten members. They review each edition before it is published and when there are controversial articles, they play a big part in deciding the content. If you would like to join this team please contact the editor. We would like to recruit more women to the team as they are under represented at present as are young people.